Bosch, the German engineering company, is gearing up for tomorrow. The company showcased breakthrough technologies at CES 2018 along with Bosch connected mobility. The company is producing engineering products since 1886. Bosch is clearly focussing on connected future cities. It is developing the technology focusing on the same. First of all, in CES 2018, Bosch showcased most innovative mobility solutions. The innovative mobility solutions are divided into three categories. They are - automated mobility, connected mobility and electrified mobility. The electrified mobility also includes powertrain systems. 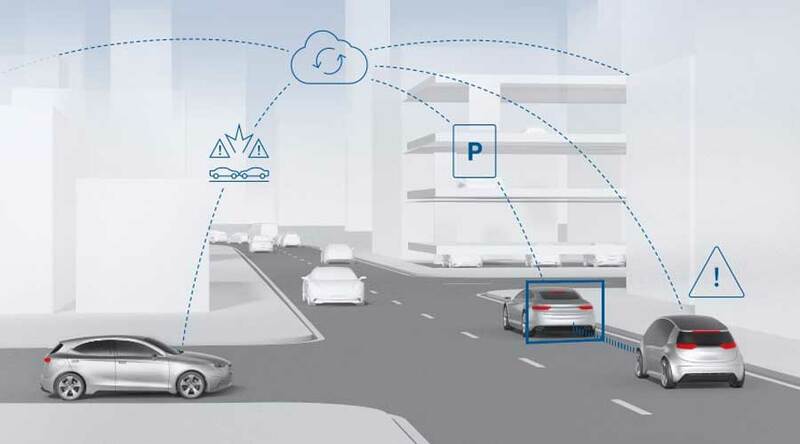 What is Bosch connected mobility? Bosch mobility solutions are cloud-based technologies that help the driver to take appropriate decisions on time. 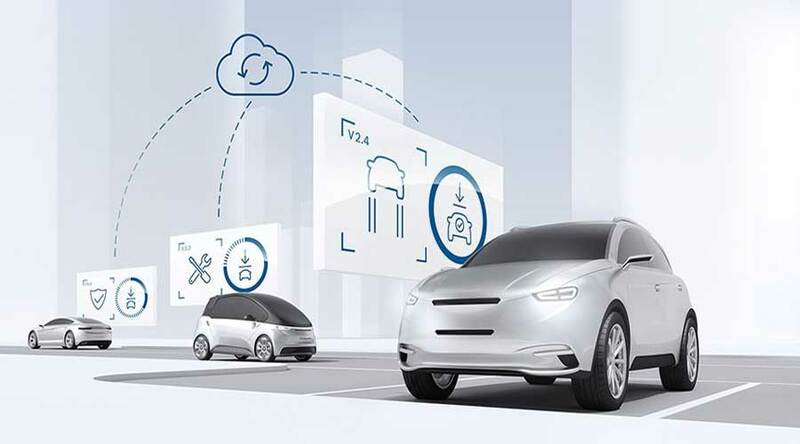 Connected mobility systems intelligently connect outside and inside of the vehicle, giving seamless and smart connection. The connected mobility also features some technologies that help the passengers and drivers alike. The comfortable, economical and safe journeys are only possible due to Bosch connected mobility. Updates over the air: In upcoming years, it will be very common for cars getting updates over the air (OTA). So, the updates ensure smooth functioning of the car. It keeps the car updated with new functionalities. The wireless internet connectivity is a very handy tool to avoid physical visits to repair shop. Bosch has IoT based redundant and secure cloud. Thus, it ensures timely and secure updates, keeping the car optimized all the time. Wrong way driver alert system: The cloud-based driver alert system continuously monitors location data in the cloud. Current systems are time-consuming. They are mostly unable to alert the driver in time, while the Bosch systems are based on the cloud. They send an alert within seconds. In addition, it can instantaneously alert the road users in the same vicinity. This position-based system ensures quick reaction time along with user attention. 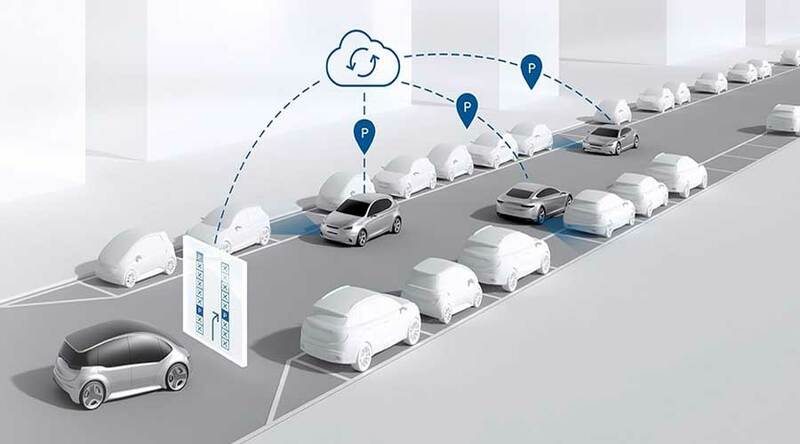 Community-based connected parking: Bosch has developed a cloud and community-based parking model. This particular model helps to find parking space for drivers in congested cities. The transmitter vehicle collects data of empty spaces and immediately makes it available in the cloud. As a result, the data then becomes available to drivers searching for parking space. Currently, the cars are already having active parking assist. So, it is just one update away from becoming the reality. Furthermore, Bosch developed technology to ease the daily life problems. This is only possible through smartphones. The company designed various apps that ensure economical, comfortable and safe journeys. Besides, the charging app directly drives the car towards the charging stations. Emergency apps directly transmit current coordinates to the rescue centers; ensuring immediate medical help. Furthermore, the interaction between car and humans is a very critical aspect of connected mobility. The HMI interface developed by Bosch is interactive assistance, helping you drive safely. Consequently, it can alert you when you are prone to a microsleep. Thus, it will guide you and interact with you in finding obstacles on your way and you name the thing. Finally (HMI) human-machine interface is a virtual assistant, helping you when you need it the most. In conclusion, Bosch connected mobility solution is taking your connected journey one step ahead. What is Cranking & How Does Hand Cranking work?